A 'Brand' is a promise between your business and your consumer, and in this increasingly transparent world, `Brand Trust' is the holy grail for many B2B marketers. 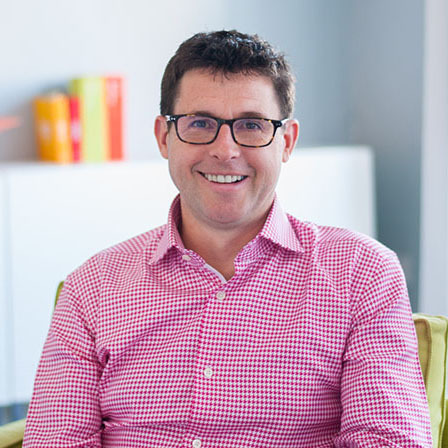 Here Simon gives his view on how best to build brand trust between you and your audience. The issue of brand trust is one that comes up regularly in conversations with clients and brand positioning workshops – but in light of recent events with Facebook, Tesla and other global names – it seems more pertinent now than ever before. From our perspective brand is trust; and therefore any investment in brand should be seen as proxy investment in building trust with your key stakeholders, be they customers, partners, influencers, investors or internal audiences. In an effort to simplify how to build trust, we use a three level ‘stack’ that we feel address the key components. So that first level is about being able to demonstrate capability – so that you are perceived to be fully competent in what you do. Evidence of capability varies widely from one organisation or company to the next but typically you’re looking at creating visible subject matter experts within your business who can speak with authority and produce content, third party endorsements, credentials or qualifications are good evidence – as is membership of industry organisations or awards won. Another proof point here might be referrals – that can take the forms of endorsements from customers or use of a metric like trust pilot or net promotor score – and if it’s a product maybe it’s around using quality certification at a high level. So the second layer then is if we’re building on their capability will be credibility that’s really around how believable are you as a business. So with credibility we have to take into account, what expectations you set, what promises you’ve made – and being realistic and pragmatic about how you deliver your service – and to always meet those promises! Tone of voice and visual has a role to play in building credibility here – so you know making sure that it’s appropriate to the market and subject matter. The source has a role to play here, so having your leadership talking And then finally I suppose endorsement might have a role to play in building credibility as well. There is nothing like having somebody else say that you are believable for you to be believable. 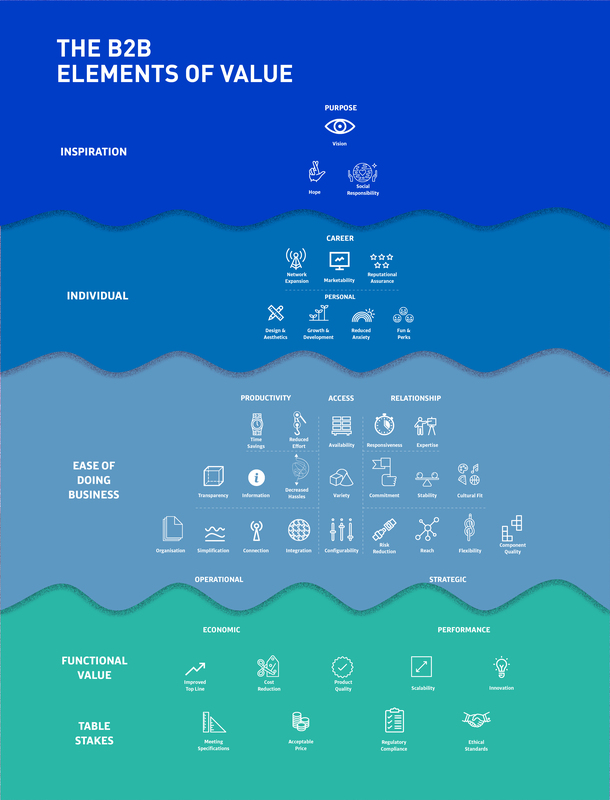 The final level on the stack is about care and this showing and demonstrating that you have a genuine stakeholder centric model within the heart of your business or organisation. Simply put, look to demonstrate where the business has invested or is investing to create real value for customers or stakeholders. Sometimes this can sit within the business transaction (going the extra mile) or sometimes it can sit outside it – education initiatives or providing access to valuable business intelligence – or simply just inviting them to a party! For a good overview of the types of value a b2b business can generate see this graphic we created. Once you have looked to see if you can build a convincing case or narrative for the three layers – all that is left is to amplify them through effective communications and engagement!